Starting today you can download our latest game On the farm also on your Android phones and tablets via Google Play ! Today is the day! 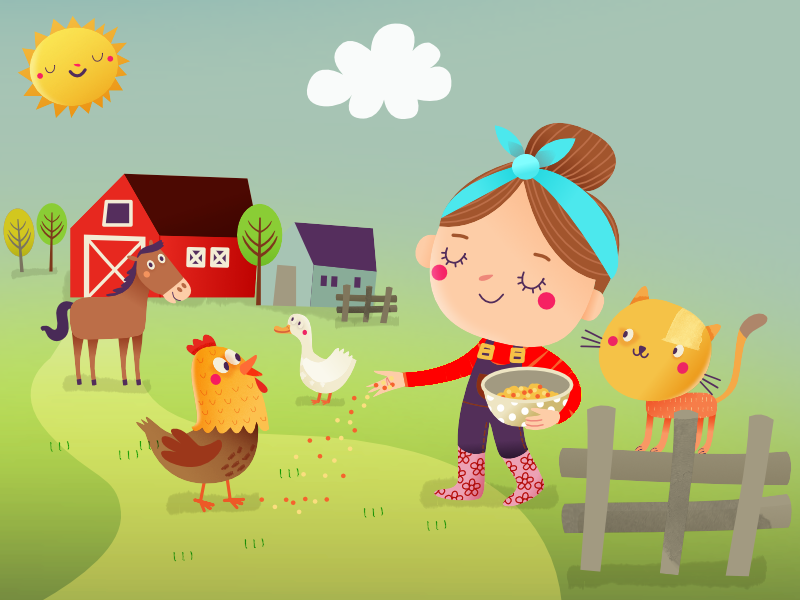 Our newest game for toddlers On the farm is now live on the Apple App Store and you can get it here. This way we want to say also big thank you to our friend Franto, who created great music for this game. If you like our games, please spread a word, share with your friends, suggest our games to another parents or rate our games on app stores. It's easy and it's really important for us. This is the only way our family studio can survive and keep updating, bringing new localisations and creating new games for kids. If you read our blog you probably noticed some info about our next planed game for kids - farm animals. Now, it's all prepared and our game is waiting for review and we are happy we will be able to bring it to kids in the next few days! On the farm is memory matching game in our own Mr.Fox and friends style. You can look forward to 14 beautifully illustrated and fully animated animals. If the kid guess the animal pair, he/she will learn what is the name of the animal and how it sounds like. Then tiny animal appears on the tiny farm scene bellow the cards. Kids can play and learn the animals in 4 difficulties - 4, 8, 12 and 18 cards. Oh, you just found the cow ! You can have a look on the presentation bellow. Above is the first mock ups from one of games we are currently working on - Module. 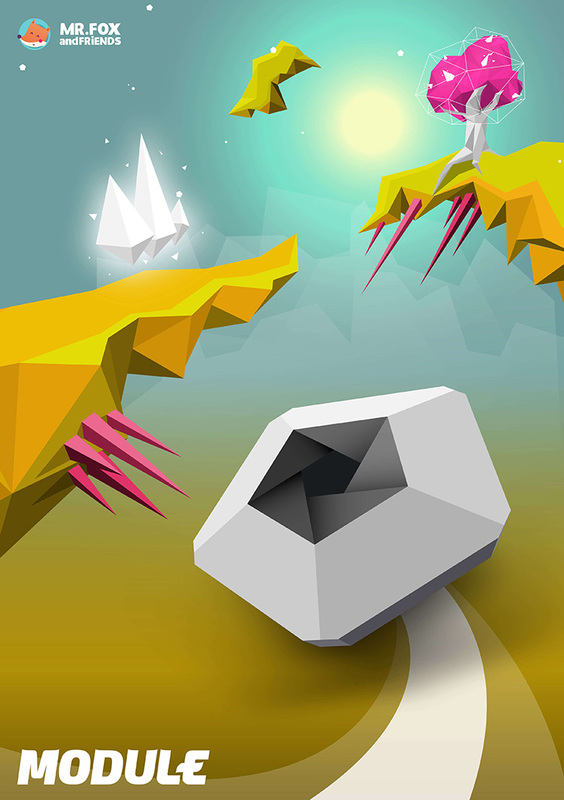 It's going to be atmospheric sci-fi game balancing between endless runner, puzzle, action and arcade packed in a beautiful low poly world coat. Because we are in early stage of the creation process we will bring more information and screenshots in the next few weeks and months. If you are wondering why we are posting images and information about games like Module, please read our previous blog post. In short, from the beginning of 2015 our studio works on both kids and casual games for teenagers and adults. Dear parents and friends. First of all we want to say big thank you for your big support in the year 2014. It was really though year and we have learned so much during that year. 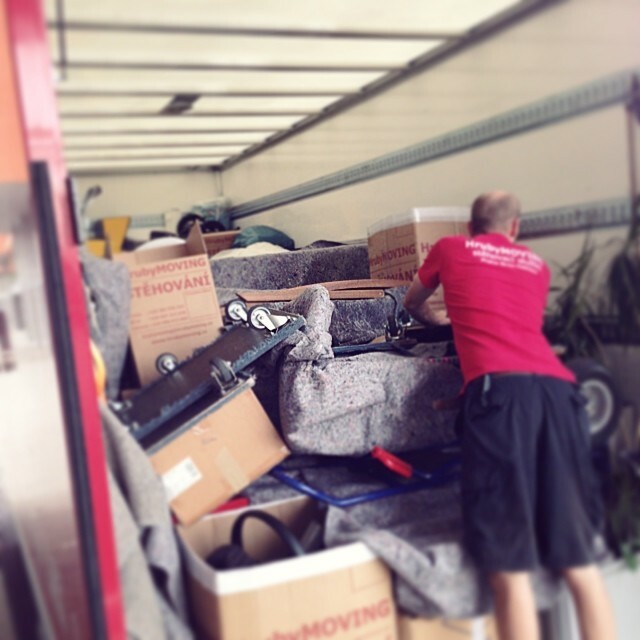 As we wrote it was really hard year and we were thinking about the future of our studio for many many days. To be honest, for a short time, we were thinking about closing our studio ( as couple of kids developers already did, and many are seriously thinking about ). We changed our minds and decided to stay on the scene, and to bring fresh and even better games for kids. But we know our studio will not survive in the mode it was running during the year 2014. Therefore from the beginning of 2015 Mr.Fox and friends will transform from purely kids games developer to 50% kids game developer and 50% casual game developer for teenagers and adults. We have some very interesting projects already in the pipeline for both of our branches so stay tuned! In the year 2015 the newsletter will be a very important way how we want to inform you about our activities, important news, giveaways, contests, etc. If you are our fan, please use the form below and sign up to the newsletter. The 3rd update of What's the time Mr.Fox brings the French and Swedish localisation as well some minor bug fixes and improvements. The update is currently available on the Apple App store. Updated version is coming to Google play, Amazon and Nabi tablets till the end of the December. In this video bellow I'll show you how easy is it to create dynamic lighting for your sprites using Unity 5 (beta) standard shader with the amazing new tool called Sprite DLight. Prepare the normal ( depth, occlusion, specular ) maps for your sprite(s) in Sprite DLight. I think this post will be pretty useful for many of you. I read it very often here and there on various forums, facebook or linkedin groups.
" ... I'm looking for localisations ( dubbing, voice over ) for my new game, character. Any recommendations? " I was too lazy to respond in those threads. Till now. So here is my two cents. you can get very good quality only for $5 ! We at Mr.Fox and friends are very satisfied with both of those services and we hope you will find voice for your next character or game much easier now. If you find this useful please share this blog post with your friends and subscribe to our newsletter for more news from our family studio. Thank you. As you probably noticed - the new iOS8 is here. Besides lot of great features it brings great way how developers can market their games and get bigger sales - App Bundles. 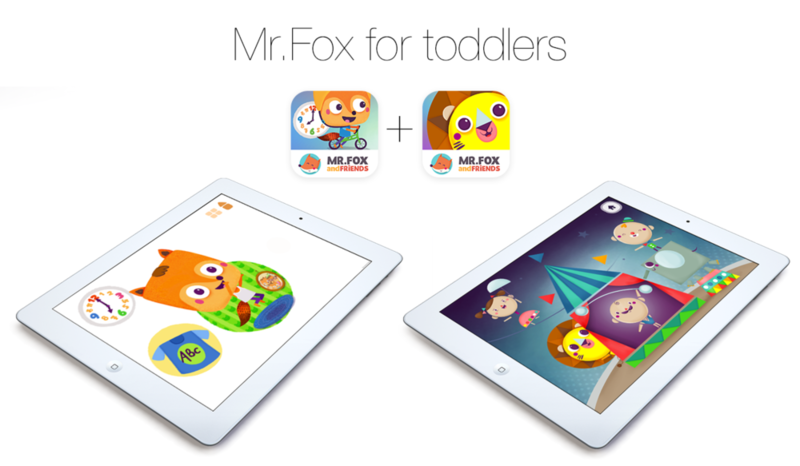 We created app bundle named Mr.Fox for toddlers where you can find What's the time Mr.Fox and Mr.Fox and Shapes HD for a much better price. If you are new to our games, this is a great way how to get both games for toddlers and save some money. And if you already have bought one of the games, you can use complete the bundle feature and get the second one for a better price. This week we launched also the sale campaign on the selected android stores: Google Play, Amazon Apps and on Nabi tablets. Please share with your friends and family if you can, we will be really thankful for this. and mainly - bring brand new memory game to the app store ! Stay tuned and keep fingers crossed :) And don't forget to subscribe to our newsletter! We are really happy we had the oportunity to present our games on a Digital Children's Book fair in Japan. They proudly welcomed about 60.000 visitors and were presenting 250 apps from 40 countries which are really impressive numbers. Enjoy the picture report in a gallery bellow. Remember the last post where we mentioned the new game? The game prototype is on 95% ready and now we are now drawing new animals and working on the animations. The first game from this simle games serie will be about farm animals, do you like them? At last, but not least we would write about our newsletter. Did you know we have opportunity to subscribe to our newsletter? Probably not. It's not visible well on our page so till we make a better design and make better place for it we decided to include this simple form to the end of blog posts. it's great to share a good news with you again. Besides Apple App Store, Google Play and Amazon App Store we have been selected as a trusted developer for a great product called nabi. nabi products are made specifically for kids. And yet they're good enough for adults. It's the reason why they're high quality. And why they're stylish and at the same time durable. nabi products are fun, engaging, and rewarding. It's an experience. nabi app store is only running on the device natively - if you buy or have one of the nabi products you can find us easily. In the next update there will be Swedish localisation along with some small bug fixes. Our new game Birds (we wrote about it in News #10) was set to low priority for a while because Edit has been illustrating an elementary school book. As the Birds game take some time to be completed we decided to bring on app stores a game classic but in a cute and kids friendly Mr.Fox and friends style :) Bellow is the first mockup. the waiting is over and we are happy to tell you that you can now download our most popular game What's the time Mr.Fox? on your Android powered phones and tablets. 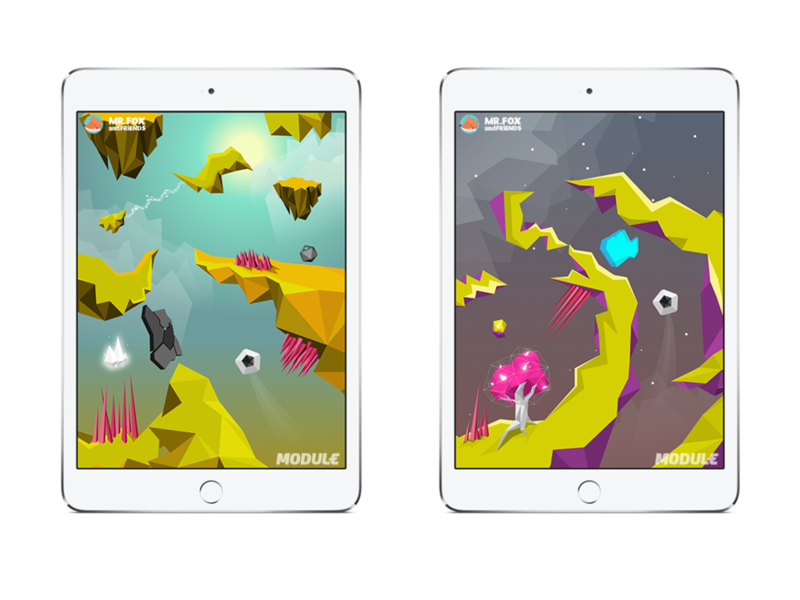 And from now, all our up-coming games will be automatically ported to Android too. Share with your friends, enjoy with your kids! Next plans for What's the time Mr.Fox is to localise it to other languages ( French is coming up next ) and of course to port it to Android and Windows platforms. We will inform you all about the progress on our blog and twitter. Every week we'll bring you the fresh news, teasers, sketches and behind the scenes exclusives. Below you can enjoy couple of first mock ups. With this game we are focusing mainly on the younger players to create a fun and enjoyable playtime experience. At this stage of development we are working mainly on illustrations style and on little bird movement and game logic. 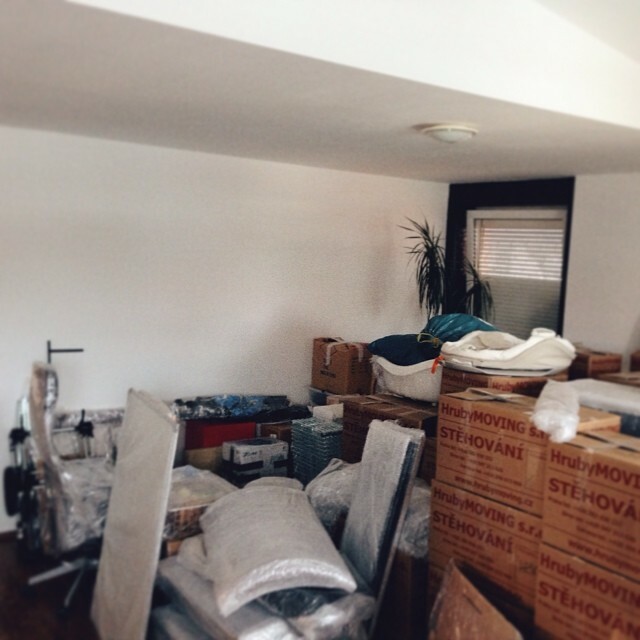 We are really excited to show you the progress. Thank you, bye for now. Hello, we’re back with really big changes here at Mr.Fox and friends. So we are a little bit tired but really happy we are getting slowly back to work. 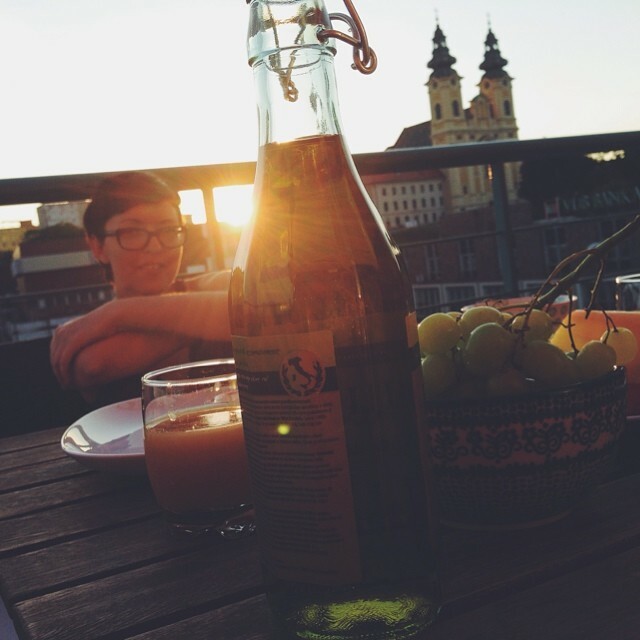 We are now based in a small city called Nitra - 90km away from the Slovakian capital city Bratislava. Nitra is not such a ‘big rush’ city as Prague, which is really great, but it also brings its own challenges. For example although our apartment is situated in the city center, we still have some issues with internet connection. Yes we didn’t inform ourselves about internet connectivity, because our apartment is in the city center, so who would expect any problems? Well, we forgot how it goes here. In the next two weeks we will do our best to bring French and German localisations in next update. We did it! You can spot our little Mr.Fox on the big banners on the App store! You can imagine how big satisfaction and honor it is for our small family studio. We are also thanfkul also for various features in the App store across the countries in both edu and games category. If your kids are enjoying the game please share your the moments with us, it's one of the main reasons while we are doing the games. It seems you guys like the game but mainly from big countries we are hearing about localisation. You asked for it and we decide to spent some time and money to make the game better and playable in your language too. Our plan is localise it to Spanish (coming soon in few days btw.) following with German, French, Swedish and Slovak language. We will release the new languages in the next few updates. Then packed with all those languages we are going to release the game for the other platforms and stores. Enjoy your day as much as you can and if you decide to spend some time with your kid playing games on iPad/iPhone please feel free to use one of this promo codes to get our recent game What's the time Mr.Fox? for free. How we made What’s The Time Mr.Fox? Our new game helping young toddlers explore concept of time and daily routines What's the time Mr.Fox? 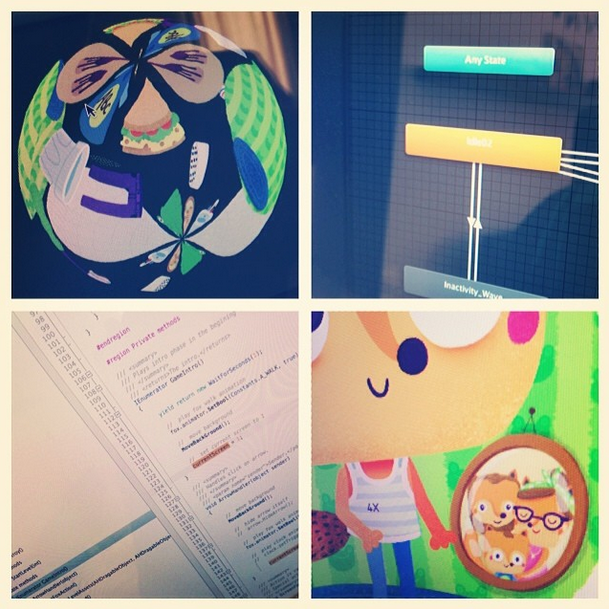 is on app store for a week now and to celebrate this we decided to share some behind the scenes with you. Immediately we had an idea. We started to sketch out both on paper and iPad. While pen & paper is great for quick sketches, on iPad we can see in an instant how it will looks in 1:1. Which is really helpful. In the beginning the concept and game-play was not very clear and it was a little bit complicated. We always try to focus on the only problem the game is all about. In this game we could have also included aspects of linear time concepts over periods of weeks, months and years. We could have also made puzzles and included ‘mini games’ - but this was not our goal. Our goal was to introduce the abstract notion of time so children could develop understand of daily routines. As soon as we had a clear idea, we started to code a playable prototype. No animations, no sounds, only rough image placeholders and sketches. If everything is working well and we are satisfied with the game-play mechanisms, game length, we the start to develop "the Game". We are wearing various hats, we are able to do everything except of music, sound effects and dubbing. On this part of project we outsource talents. Although we are not doing the sounds and music, we find it very hard to describe the sounds you have in your mind so it's not that easy to find some music and SFX references. After couple of weeks when the game is playable we launch closed and then open beta test where we are looking for all types of issues (logical problems, if game is not crashing, sound issues, animations problems, etc.). If everything looks stable and nice, we launch the game. Everybody loves diagrams, right? Here is one showing how much time we spent on each part of the game creation process. We wish we could work on the game for 16 hrs a day together. In fact it's less than 8 hrs / day. We are trying to split the day so I'm working in the morning while Edit is playing with our son Adam, preparing some food and doing whatever is needed at home. Then we switch in the afternoon. With this system we are able to complete the game in the time period you see bellow and enjoy both work and family quality time. We wrote and sent promo codes to several email addresses. It seems like you really have to use all 100 promo codes to get at least small feedback. For promoting and writing we have booked one week and it looks like for our next game we will take at least 10 days. We use promo codes mainly to ask for review and giveaways. Launch day was a little bit hectic, because we are moving from Prague nowadays and we were without internet connection in the middle of mountains on that day. So we had to go to the nearest city, took some coffee and made a huge scheduling of tweets and facebook posts. UPDATE: What's the time Mr.Fox got home page feature after couple of days! Speaking of tools we are pretty conservative and we are trying to use as few tools as possible. Here’s a list of what we used to produce What’s The Time Mr.Fox? We hope you have enjoyed the article and you now see a little better how much effort and knowledge is needed for two people, parents like us, to develop and promote a game. This is why it's not possible to make games for free. As much as we would like to. If you want to support us on our journey, please don't wait for our game to be free. Every purchase makes more and more possible for us to develop next games. Also sharing with your friends, family and your positive comments on app store are more than appreciated and we are thankful for everyone. News #7 - Launch week for What's the time Mr.Fox? What's the time Mr.Fox ? Well, what to write here. Everyone who once created and launched a game or an app knows that feeling very well. We are so curious. Not about numbers itself, but about kids reactions - will they like our game as much as our son does? We will see soon. In case you want to help us share the game with the world plase let us know. We would be very thankfull for all tweets, blog posts, facebook posts, photos. We can provide some promo codes in case you want to make small review for us too. And don't forget to keep an eye on our social networks we have prepared some free goodies, toys and other nice stuff for you.